My friend Jenny and I recently launched our podcast which is called The Improvement Project and is about developing and maintaining healthy habits in order to become a better human being. In the podcast we take on a monthly challenge every 30 days related to a specific habit and then we discuss all the details of how we did with the habit and how our experiences may help others to get going on improving their own habits. In the first month, the challenge was to make your bed each day, floss your teeth each day and…..drink more water. I did very well with the first two but had a few more challenges when it came to drinking more water. One thing that did help me get more water into my body though, was this delicious, flavourful recipe for spicy lemon ginger turmeric water. It seems a bit like a fun cocktail rather than plain old boring water and so it really helped me to increase my daily fluid intake and I thought that you might like to try it too! Lemon, ginger and cayenne will all help your guts to be a bit happier by helping with digestion and turmeric has powerful anti-inflammatory properties. So not only are you improving your hydration by getting more fluid in, but you get these added benefits. > 4 cubes of fresh ginger root – about the size of a sugar cube -remember to remove the skin! Blend everything together in a high speed blender and then pour over a strainer to remove the ginger and turmeric strands. 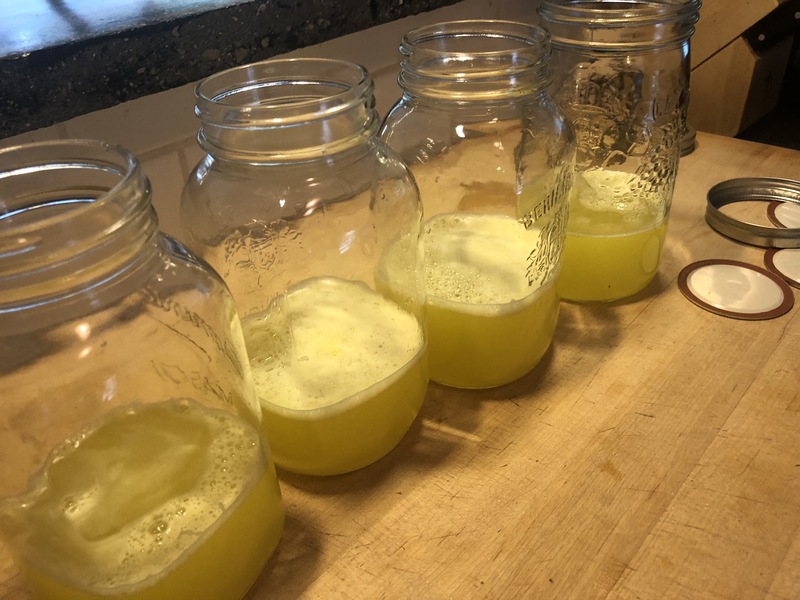 Pour this concentrate mixture evenly into 4 1-quart mason jars and then fill to the top with filtered water. 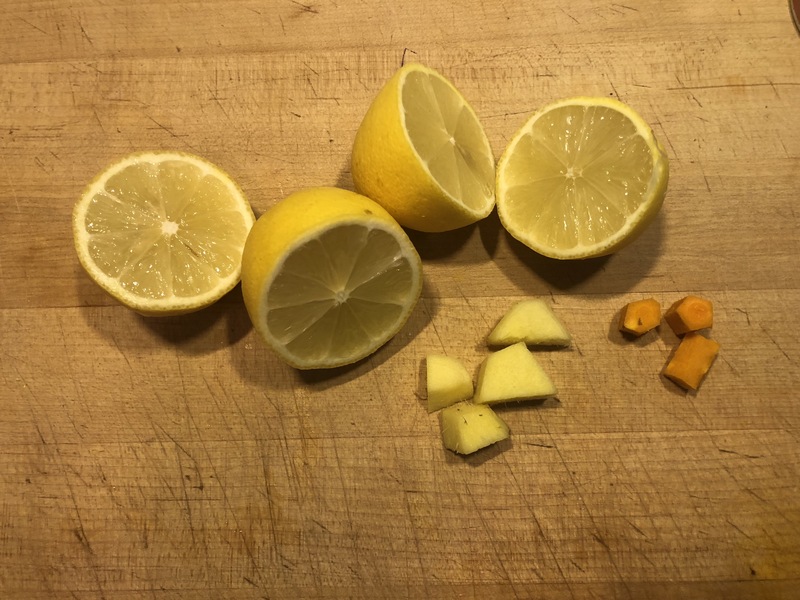 Now you will have 4 quarts of this spicy, delicious lemon ginger turmeric water to include in your daily fluid intake! Were do u buy your tummeric root. I just bought mine at my local Sobey’s (in London, Ontario). If your grocery store carries it, it’ll likely be near the ginger root!